Introduces the basics of HTML and XHTML, Page Structure Elements, Key Structural Elements, Specialty Markup and Validation. Great for beginners and veterans alike. 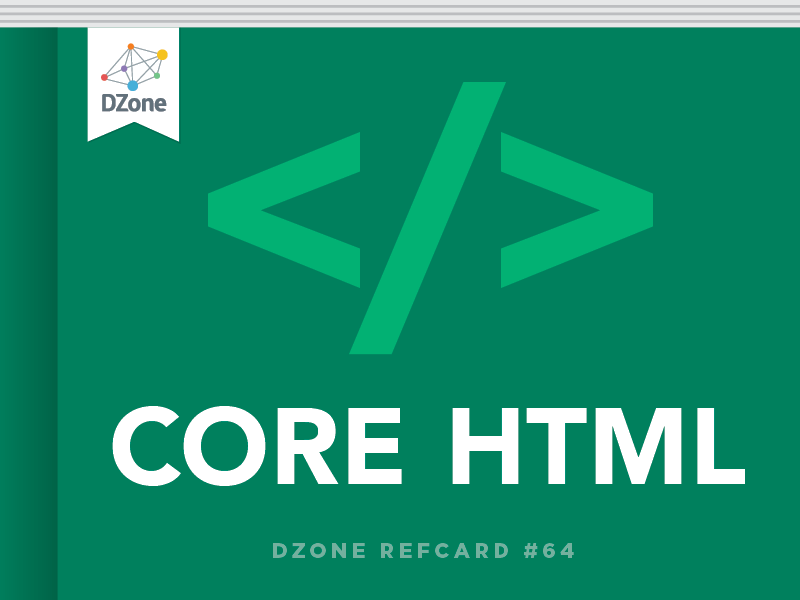 The XHTML template is a bit more complex, so it's common to keep a copy on your desktop for quick copy and paste work, or to define it as a starting template in your editor. The structure of your web pages is critical to the success of programs based on those pages, so use a validating tool to ensure you haven't missed anything. WC3 The most commonly used validator is online at http://validator.w3.org This free tool checks your page against the doctype you specify and ensures you are following the standards. This acts as a 'spell-checker' for your code and warns you if you made an error like forgetting to close a tag. HTML Tidy There's an outstanding free tool called HTML tidy which not only checks your pages for validity, but also fixes most errors automatically. Download this tool at http://tidy.sourceforge.net/ or (better) use the HTML validator extension to build tidy into your browser. HTML Validator extension The extension mechanism of Firefox makes it a critical tool for web developers. The HTML Validator extension is an invaluable tool. It automatically checks any page you view in your browser against both the w3 validation engine and tidy. It can instantly find errors, and repair them on the spot with tidy. With this free extension available at http://users.skynet.be/mgueury/mozilla/, there's no good reason not to validate your code. Visit http://www.aharrisbooks.net/dzone/listTable.html for an example. Use view source to see the XHTML code. In this example, http://www.google.com is the site to be visited. The text "link to Google" will be highlighted as a link. Links can be absolute references containing an entire url including the http: protocol indicator. http://www.aharrisbooks.net goes directly to my site from any page on the internet. A relative reference leaves out the http:// business. The browser assumes the same directory on the same server as the referring page. If this link: <a href = "xfd">XHTML for Dummies</a> is on my main site, it will take you to http://www.aharrisbooks.net/xfd. <span class = "highlight">This text</span> will be highlighted. The <form></form> pair describes the form. In XHTML strict, you must indicate the form's action property. This is typically the server-side program that will read the form. If there is no such program, you can set the action to null ("") The method attribute is used to determine whether the data is sent through the get or post mechanism. A label is a special inline element that describes a particular field. A label can be paired with an input element by putting that element's ID in the label's for attribute. <input type = "radio" name = "radSize"
value = "launch the missiles"
The reset button automatically resets all elements in its form to their default values. It doesn't require any other attributes. This is actually a CSS improvement, but it's much needed. It allows you to define a font-face in CSS and include a ttf font file from the server. You can then use this font face in your ordinary CSS and use the downloaded font. If this becomes a standard, we will finally have access to reliable downloadable fonts on the web, which will usher in web typography at long last. In this example, http://www.google.com is the site to be visited. The text \"link to Google\" will be highlighted as a link. A relative reference leaves out the http:// business. The browser assumes the same directory on the same server as the referring page. If this link: <a href = \"xfd\">XHTML for Dummies</a> is on my main site, it will take you to http://www.aharrisbooks.net/xfd. The <form></form> pair describes the form. In XHTML strict, you must indicate the form's action property. This is typically the server-side program that will read the form. If there is no such program, you can set the action to null (\"\") The method attribute is used to determine whether the data is sent through the get or post mechanism.